Marc Trestman has been hired to not only lead the Chicago Bears, but to maximize Jay Cutler’s potential. As the Windy City says goodbye to Brian Urlacher, it mirrors the thought process of the Chicago Bears organization as it moves from Head Coach Lovie Smith to Mark Trestman. The former was a “knuckles in the dirt” defensive guy favoring the “Tampa 2”, where the new philosophy with Marc Trestman is a wide open offensive one throwing the football down the field. His mission, should he choose to accept it, is to improve on Jay Cutler’s 58.8 % completion rate, and develop an offense that improves the production across from Brandon Marshall. Any way you shape it, the Bears have a quarterback who can become a top tier performer in Jay Cutler. However that window is closing as he approaches 30. The maturation has to happen now and Bear’s brass knows it, hence the move to hire Trestman. On every one of his stops as an Offensive Co-ordinator in the NFL, he had to make good with an established starter. In 1988 he took over for Lindy Infante in develping Bernie Kosar with the Cleveland Browns. He took over in San Francisco after the 49ers won Super Bowl XXIX with Steve Young at the helm. His latest gig had him work with Rich Gannon and help the Raiders get to Super Bowl XXXVII. Sure there were other stops and he has gained head coaching experience in the CFL where he was coach of the year in 2009 and won back to back Grey Cup championships. There had been a couple of issues between he and the media when he was an NFL assistant but now he’s the head man in charge. He has coached some of the best quarterbacks in the NFL and Jay Cutler should learn plenty from him. If the Bears offense can improve with a still formidable defense, how far can they go in 2013?? Jay Cutler is constantly on the cusp of leaving his detractors behind. Then he has a set-back. Will the real Jay Cutler please stand up or have we already seen the best of Jay?? Quarterback: Every single year, the NFL shows itself as a copycat league. Whatever attribute a team exhibits on it’s way to winning the Super Bowl, teams with similar attributes think to themselves: Why not us?? In this instance of course we’re talking about Joe Flacco maturing and carrying a once proud Baltimore Raven defense to a world championship. How could the Bears not see themselves and Jay Cutler in the mirror?? So in comes Trestman just as the Ravens brought in former Colt offensive quarterback guru Jim Caldwell last year. 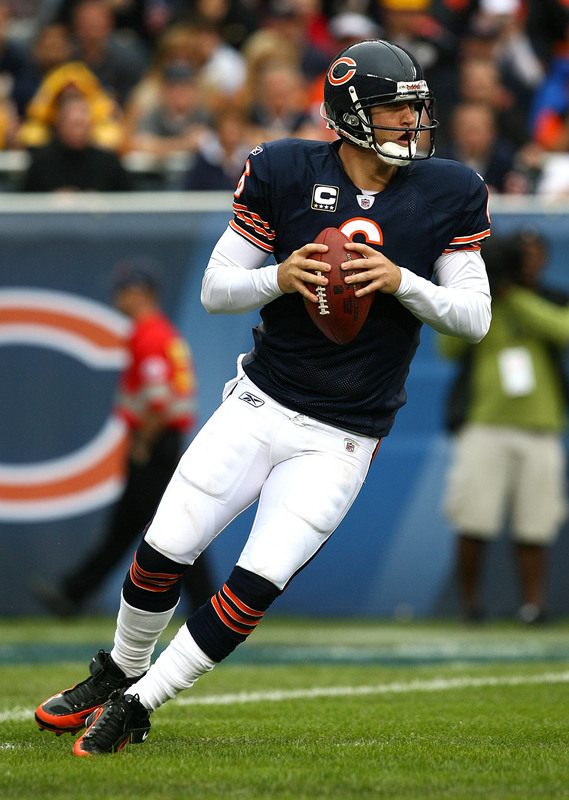 In 2012, Cutler improved on his completion percentage 58.8% as compared to 58% in 2011. He completed 255 of 434 passes for 3,033 yards, 19 touchdowns to 14 interceptions. However his season was a tale of two halves. He had a terrible 4 interception performance in a week 2 loss in Green Bay. Yet in the other 7 games to start the season, all wins, Cutler completed 60% of his passes for 1,648 yards 11 TDs and only 4 interceptions. The Bears raced out to a 7-1 start. Once the second half of the season began, he faced tougher defenses and film was out on where and how the Bears were trying to get Marshall open. He faced three of the NFL’s top 11 pass defenses in the Seahawks, Cardinals, and Packers as he threw 6 interceptions to just 7 touchdowns. What would those numbers have looked like had he faced the #4 pass defense of the 49ers in a 32-7 Monday Night loss?? One knock The Chancellor of Football has on Cutler is his character. He is a good front running quarterback when things are going well. He doesn’t seem to make adjustments or corrections if he or the Bears offense as a whole gets off to a rocky start. Rarely will Cutler lead a come from behind last second drive for victory as he did in week 7 against Carolina. The Bears realize this and brought in some help in the form of offensive linemen instead of receivers. Thankfully Jason Campbell won’t be back but word on the street is they are bringing in JaMarcus Russell as a “camp arm”. There isn’t any depth behind Cutler if he were to get injured. The Bears are average at quarterback until we see evidence otherwise. A full camp should bring out the best in Forte. 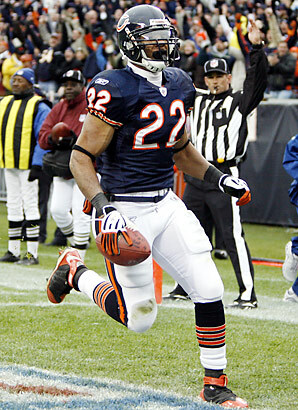 Offensive Backfield: The best situation coming into the 2013 season is Matt Forte will be in attendance for all OTAs and camps. Where last year he was holding out well into the summer. 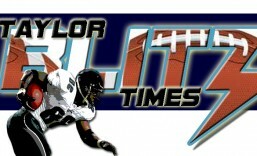 He started out slowly but ran for 1,094 yards (4.4 yd/avg) and 5 touchdowns. However his numbers out of the backfield were down last year. With a longer training camp, Trestman can put together pass route combinations to better utilize Forte out of the backfield. Last year the Bears were too predictable and threw to him on screens mostly. In obvious power situations, Michael Bush (114 car./ 411 yds / 5TDs) was the battering ram. His role keeps Forte from the heavy pounding taken on the 3rd and 1 runs. Many times the Bears need an attitude drive to establish dominance on the ground, Bush provides that as a 250 lbs back. Trestman will use Bush in the passing game more as well. 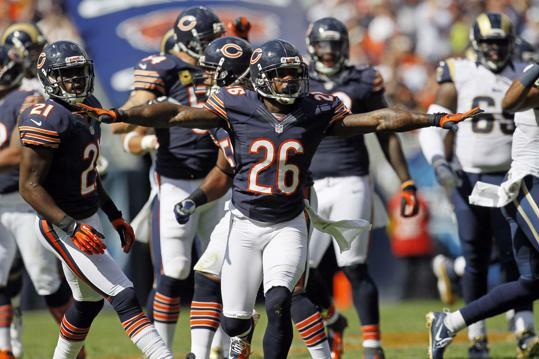 The Bears should improve to playoff quality at the running back position. 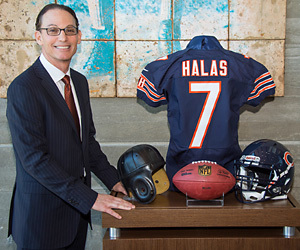 Finally the Bears have a top shelf receiver in his prime. Brandon Marshall is a beast of a receiver. Receivers: Reuniting with Jay Cutler returned Brandon Marshall to the NFL elite as a receiver. His 118 receptions for 1,508 yards and 11 touchdowns sent him to the Pro Bowl and garnered All Pro status. He can run all the short and intermediate routes and can muscle past most corners after the catch. This is a true receiver. Not the experiment that has wrecked the career of Devin Hester. The Bears absolutely have to get more out of their other receivers or the offense will bog down against top defenses again. To improve on the anemic 24 receptions from tight ends last season, they cut both Matt Spaeth and Kellen Davis, then signed former New York Giant Martellus Bennett. He should be able to stretch the middle of opposing defenses and catch 50 passes this year. The draft brings Marquess Wilson and the team signed free agent Demetrius Fields. 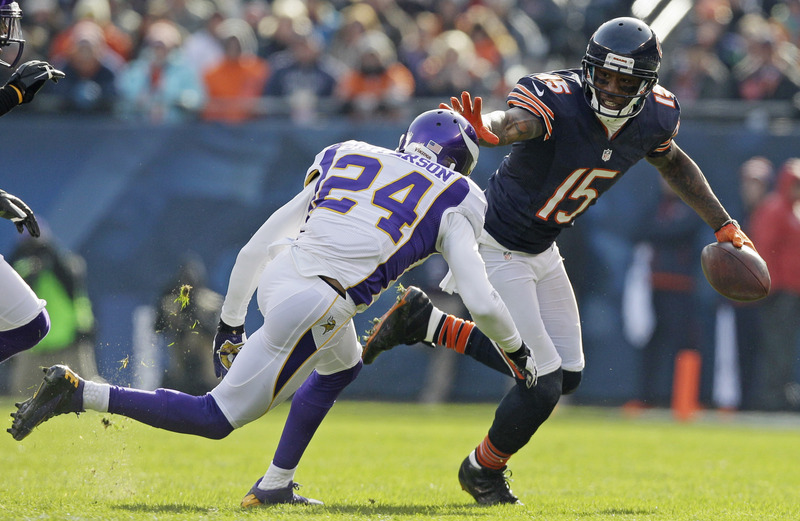 Our darkhorse to emerge from the pack this year is Alshon Jeffery who showed promise last season. Trestman has a few pieces in place and should push this group to playoff caliber performance. Marshall alone makes them better than average. Keep in mind these guys are coming in to a line that was 25th in sacks allowed with 44 and 27th with hits on the quarterback with 87. So there will be open competition as a new coaching staff looks to put their stamp on the team. There should be 3 new starters and as many as four depending on how camp shapes up. Keep in mind the ink is just drying on 1st round pick Kyle Long’s contract so everyone will be in camp. Right now with the upgrade of Bushrod this group moves up to average with a chance to be playoff caliber. 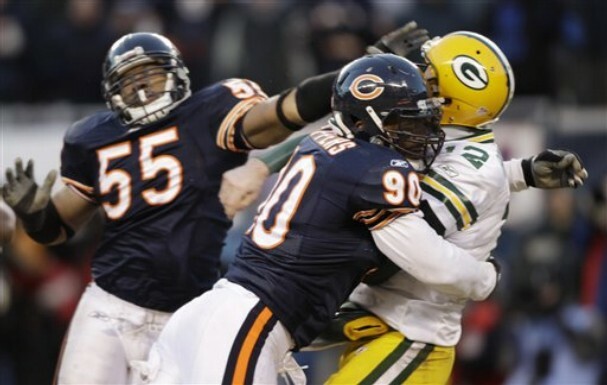 Julius Peppers will have to get after opposing passers to cover up a youthful linebacker set. Defensive Line: Although the linebacking corps is in flux, the front line is very solid and could become the new identity of the defense. The emergence of DT Henry Melton (43 tackles / 6 sacks) to go along with Julius Peppers (39 tackles / 11.5 sacks) helped the defense to an overall ranking of 5th. Each player made it to the Pro Bowl in 2012 as they paced the Bears who finished with 41 sacks on the season. Peppers should be free’d up as the team takes more chances with a few more blitzes than they did under Lovie. One open spot is the one manned by Israel Idonije who finished with 7.5 sacks who at the time is unsigned. Yet last year the drafting of Shea McCllelan (2.5 sacks) from Boise St, this year’s 6th round selection in DE Cornelius Washington,and last year’s performance by Corey Wooten (7 sacks) says he won’t return. This line should be able to get after the quarterback while gobbling up linemen allowing the ‘backers to make plenty of tackles. This group is Super Bowl quality and getting younger. Linebackers: For the first time in many years Lance Briggs will get what he always wanted, to be the man at linebacker. He used to fight for equal pay and attention of Brian Urlacher yet his play merited did merit it. Last year he didn’t make the Pro Bowl even though he turned in 112 tackles, 11 passes defensed, 1.5 sacks, 2 interceptions returned for 2 touchdowns, and 2 fumbles forced. He will be 33 as the stretch run of the season begins in early November, yet he remains a force. Youth will serve as the Bears drafted a pair of linebackers that should make the teams and crash down on special teams. Yet look for 2nd round pick Jonathon Bostic to compete with free agent signee DJ Williams to compete for Urlacher’s former spot in the middle. In all actuality 4th round selection Khaseem Greene out of Rutgers, is the heir apparent to take over for Briggs. If he has a good camp this team could start two rookies as Nick Roach isn’t entrenched as a starter. This group needed to get younger and has in a hurry. Right now the Bears are playoff caliber with the signing of DJ Williams to go along with Briggs. One of the rookies should start. Tim Jennings emerged as a Pro Bowl bookend to Tillman in 2012. Secondary: No team in football has a better pair of cornerbacks than the tandem of Charles “Peanut” Tillman and Tim Jennings. These two were a turnover force of epic proportions apart from covering skills. Tillman made 85 tackles, forced an obscene 10 fumbles, and returned all three of his interceptions for touchdowns. Yikes! An outstanding year no matter how you look at it. Across from that production Tim Jennings blossomed into a Pro Bowl corner by intercepting 10 passes, made 55 tackles and defensing 21 passes. By the way Jennings missed two games in 2012 to boot. Tillman also defensed 16 passes to go along with his many plays. All this stellar coverage leaves the safeties to support the run. To help with multiple receiver sets, the Bears re-signed CB Kelvin Heyden who will lend depth to the cornerback position as well. This play at corner alone makes this group a Super Bowl quality group. Overall: The majority of the Bears battles lie within the recesses of the mind. Jay Cutler hasn’t had a good game against Green Bay since his arrival. So they brought in an elite blocker to eliminate his nemesis in Clay Matthews III. He has to mature this year and get the monkey off his back with a win over the nemesis Packers. They start with two big games at home and they do have a bye week before the Monday Night get together at Lambeau on November 4th. They only face 6 teams in 2013 that had winning records in 2012. If the Bears can get that win against the Packers and we believe they will, it will bode well for team confidence to finish the 2013 season. The Chancellor of Football has this team battling it out with the Minnesota Vikings, and not the Green Bay Packers for the NFC North. This team should finish 11-5 if they remain healthy. A definite spoiler in the playoffs.